develop the problem of dry hair. hair fall, split ends, dry hair, dandruff, itchy scalp, etc. To heal dry hair, pour some unboiled milk in a bowl. 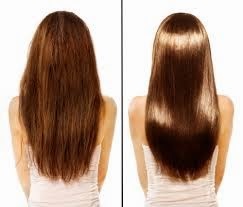 To treat dry hair, apple cider vinegar is very effective. To moisturize dry and rough hair, use egg whites. it for 20 minutes and then, wash it off. lukewarm water after half an hour. to massage some coconut oil on your hair and scalp. With the help of finger tips, massage your scalp. it. Heat it for a few minutes and allow it to cool down. it on hair before shampooing your hair. honey to it. Mix all the ingredients well. practise this method twice a week. hair. It also provides effective results. olive oil. Apply this paste on hair for 15 minutes. Wash off your hair with warm water. pack. All you need to do is to warm some olive oil. shampoo to remove oil from hair. mixture on hair and wear a shower cap on head. You also have an option to use olive oil with egg yolk. minutes. Wash your hair with shampoo. your hair after 20 minutes. three tablespoons of olive oil and half cup of honey. warm towel. After 30 minutes, shampoo your hair. fat mayonnaise. Apply it on your scalp and hair. well. Apply it on hair. Wear a shower cap, if needed. Wash off your hair with diluted vinegar. shampooing your hair. Let it rest for fifteen minutes. the pulp of avocado adding some mayonnaise in it. Massage this paste directly on hair roots and hair. After 20 minutes, shampoo your strands. banana to form a paste. Apply this paste on hair. You can also prepare a paste of avocado and yogurt. minutes, wash hair with lukewarm water. vinegar in two cups of beer. Use it as a conditioner. packet of gelatine to it. Stir it well to form a thick gel. and rinse your hair with it. juice directly on hair. Wash it off after a few minutes. one teaspoon olive oil in half cup of aloe vera gel. massage can be done before shampooing your hair. Else, add one tbsp of honey with one tsp of jojoba oil. one tablespoon each of honey and coconut oil to it. off using shampoo and cool water. 15-20 minutes. Rinse your hair with shampoo. and repair split ends and dryness. dry hair. It acts just like a hair spray. restores the shine of hair. with tea tree oil, which is suitable for all hair types. fingertips on hair and scalp. Let it rest for 30 minutes. a protective layer for hair against harmful UV rays. Cocoa butter is also a natural conditioner for dry hair. the mixture gets thick. Soak your hair with water. a mild shampoo. For best results, leave it overnight. Practice this method, once a week. and scalp. Wash it off after some time with shampoo. water to shampoo your hair. woman wants to have thick, shiny, and healthy hair. suitable sprays, creams, and serums.